I’ve loved colour forever. I used to spend hours dressing up my barbie dolls in fabulous costumes imagined out of scraps from my mother’s sewing. I wouldn’t make up stories for the dolls; of them going shopping, or being school teachers, or of being whisked away to a fabulous ball by a handsome stranger. No; I would simply sit there and try pattern against pattern, colour against colour. For hours. Which all just goes to give you an idea of how crippled I was when I was trying to choose colours for my site. OMG, what the hell do I choose? I love …. everything…. .
You know, colour is just about THE biggest identifying feature people see when they first look at something, and can be a major consideration when they purchase something (acid green two piece suit, anyone?). And although I’m not suggesting that people won’t visit your site/read your blog because it’s not their favourite shade of blue, it’s still a pretty important factor in conveying the right mood – one that is not only expressive of your brand’s values and attitudes, but more importantly, one that’s in line with your audience’s expectations. Now before I go too much further, I want to talk a bit about the meanings of colours. I would like to emphasise that colours have a wide range of meanings which vary from culture to culture and also with context, so don’t get bogged down in them. For instance, in Western cultures, red sometimes means danger, but in other contexts it is associated with Christmas. In China, it often symbolises good fortune and happiness, while in other cultures red is the symbol of mourning. Here’s some very broad generalisations that may be used when it comes to branding (but don’t take them as gospel). Blues and darker colours are often perceived at trustworthy and solid (think banks). 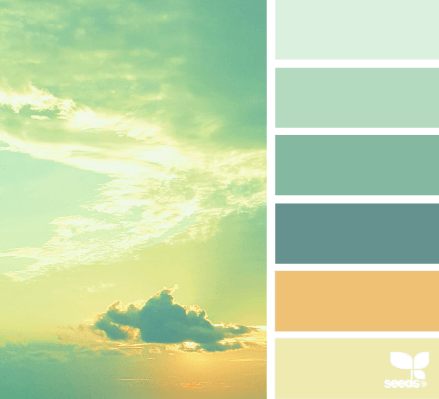 Blues and greens are seen as calming, especially pastel hues of mint and aqua. Greens and browns are seen as earthy and natural. Red especially, but also orange and yellow are often thought of as active colours. Tertiary colours such as magenta (red-violet) and lime (yellow-green) are usually thought of as more youthful, fun colours. How do YOU feel about colour? 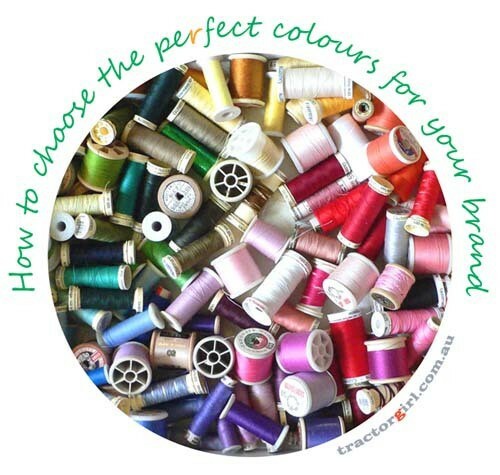 Same as me – like you’re stuck when it comes to choosing colours for your brand, because everything looks wonderful? Or, you find a great palette and love the colours, but it’s just not pinpointing the mood you’re looking for? Or, maybe you think you have very little confidence with colour, and just feel plain scared? You know, it really doesn’t matter why you have difficulties choosing colour – the end result is the same; and that is that you can’t settle on anything. Fortunately, there’s a solution (or even two or three). It helps if you have a clear vision of the mood/personality of your brand (so you know what mood you’re going to project). If you don’t, than have a stab at this – write a list of half a dozen words or more personality traits that you would like your brand to express. (Better still, read this article in order to get a grip on your business personality.) You can start with masculine or feminine, young or mature, then get a bit more specific with descriptors such as dreamy, modern, dramatic, or sentimental. 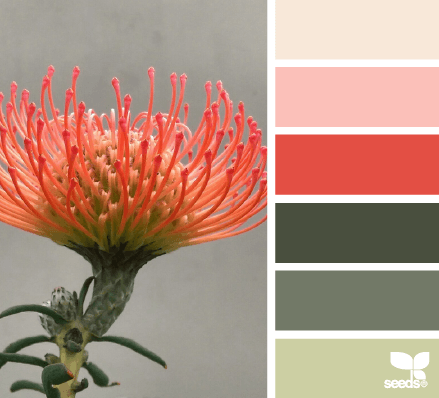 Next, keep those words in mind and go searching through places like ColourLovers.com or Design Seeds, and try and match your mood words to the colour palette you’ve chosen. These places have thousands of pre-made palettes that you can use for anything you want. Each palette lists the hex codes for each colour, so you can recreate them for yourself. 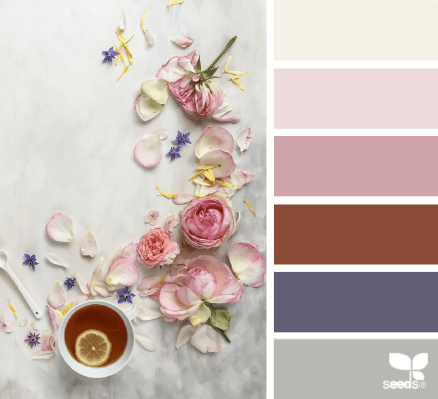 I especially like the Design Seeds palettes – although Jessica tends to create palettes based around gentle images of flowers, nature, and weathered textures, she has a great eye for extracting the colour essence out of a picture. (Each image is linked to the original post if you’d like to find out colour codes). I know not everyone is as skilled as Jessica! Don’t fret – there are other ways you can find your own palette too; I’ll get to them in the next post. So for now, I want you to go exploring. If you’ve found a palette you LOVE and want to show it off, leave a link in the comments. If you’d like suggestions for your website/blog/shop, leave a link and we can all have a look and make suggestions! Oh, and my blog’s palette? Yes, this blog’s been through a few renovations and reincarnations. Fortunately, I’ve finally settled on something. Hells, it’s a rainbow of sorts – I just can’t help myself.